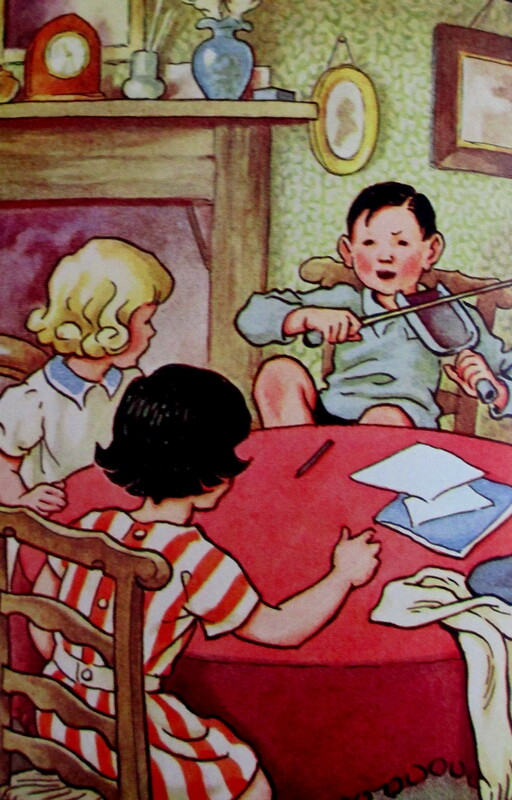 Does anyone remember the “Milly-Molly-Mandy” book series by British writer/illustrator, Joyce Lancester-Brisley? Starting out as a young writer, Joyce, at the age of 13, wrote her first fairy story and published it in a children’s paper. After the family moved to London, Joyce attended art school for two years. By the age of 20, she and her two sisters, Nina K. Brisley, and Ethel C. Brisley (who were also illustrators), had paintings hung in The Royal Academy. All three sisters illustrated postcards for Alfred Vivian Mansell. This entry was posted in Illustrations and tagged #Children'sBooks, #IllustrativeArt, Alfred Vivian Mansell, Joyce Lancesster-Brisley, Milly-Molly-Mandy series. Bookmark the permalink.